Valentine’s Day is a few days away and I’m wrapping up my holiday heart projects. It was fun, lots of love to spread around. But I just can’t seem to let me heart punch go. So, I decided to keep it around and it put it to use on some spring cards. 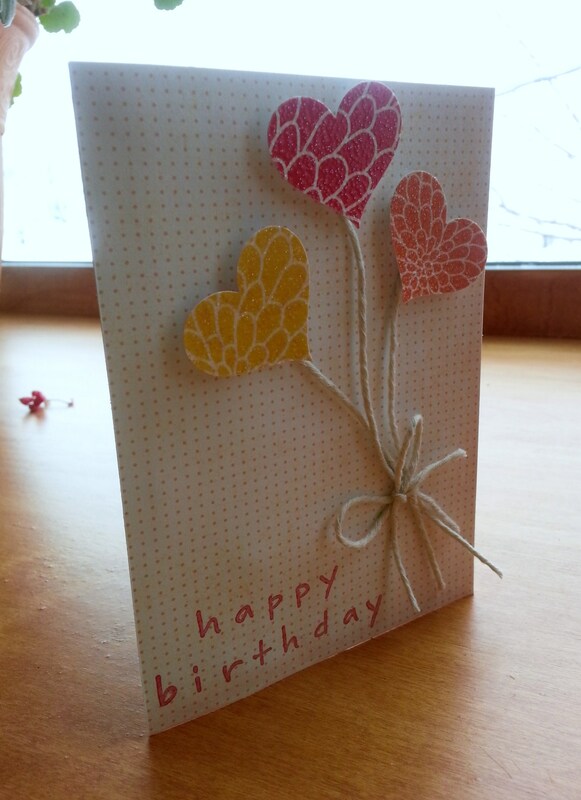 A birthday card with heart balloons. A 4 leaf clover for St. Patrick’s Day. Who doesn’t love Mom? 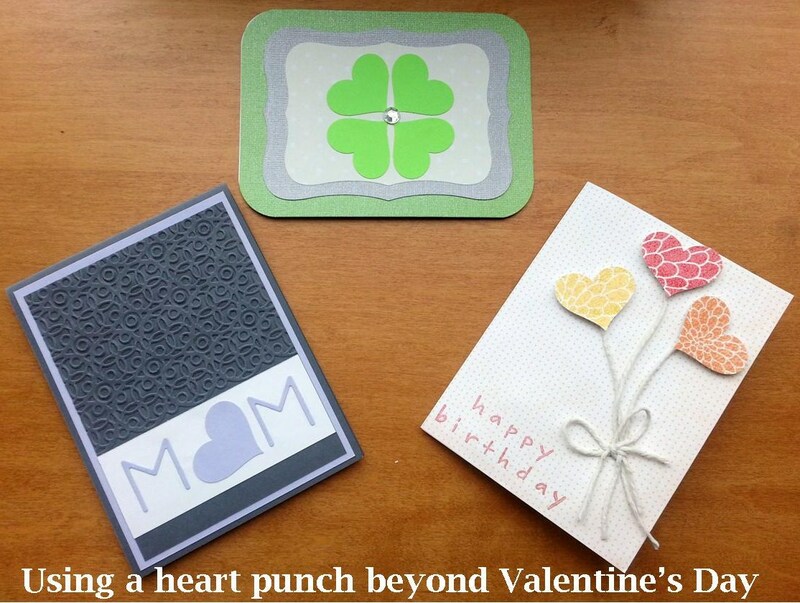 This heart works perfectly on this simple Mother’s Day card. Do you have a favorite punch? How do you make it work year round? 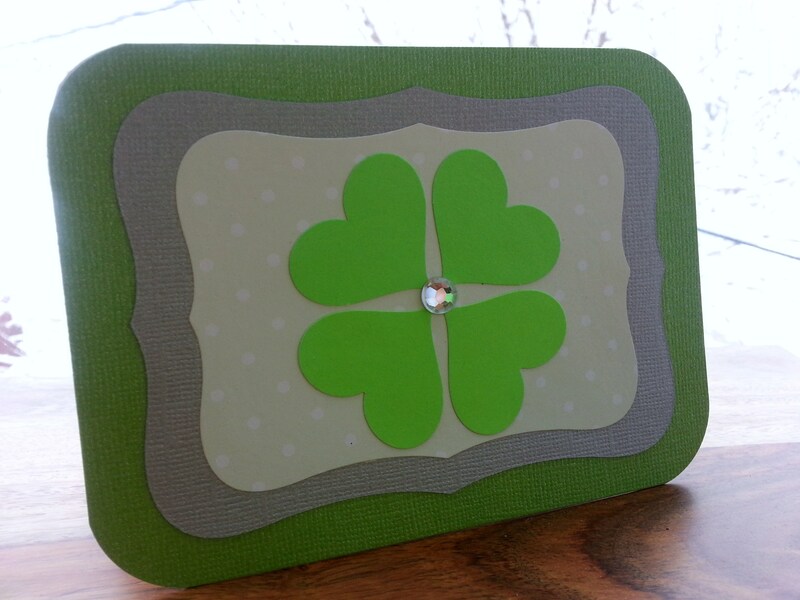 I’ve got a flower die cut I’ve used for loads of things – cards, barrettes and cutting off the points by hand turns it into a clover. Love the versatility. 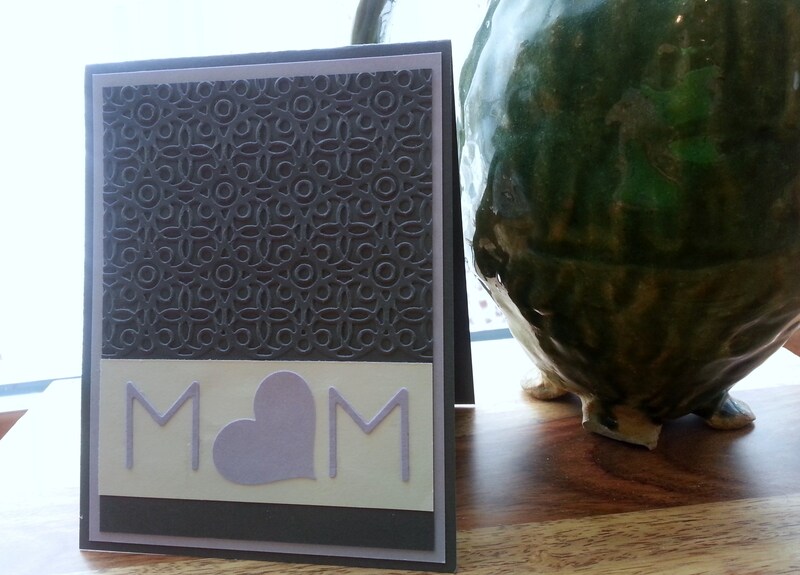 Also LOVE that embossed pattern on the mom card – what is that from? Thanks for linking to the Craftastic Monday party at Sew Can Do! Thanks Cheryl! I used a Cuttlebug embossing folder on the Mom card, I’ve had it for a while and can’t find the name anywhere. It’s one of my favorites.